You have spoken about reducing the energy import bill. You have also spoken about giving the scientist community business worth Rs 1 lakh crore. How will you do that? First we have to increase our domestic production. Secondly, we will have to look for new sources of energy, for which we have identified bioenergy. The amount of biomass available in India can help us create a new segment in our energy basket. This segment will have bio-fuel, ethanol, bio-diesel, bio-CNG etc. The third strategy is conservation, by using energy-efficient techniques. India is the world’s fastest-growing energy consumer. We recently overtook Japan with 11% growth last year. The growth so far this year is also in double digits. So energy consumption will only grow from here as we move from a being a developing to a developed country. Given our natural resources, it will not be possible for us to become self-sufficient in fossil fuel. So our policies in the last two years have reflected our focus on newer sources of energy, and welcoming research and innovation. We understand the risks involved in exploration and production of hydrocarbons. Your focus on bio fuel can make good use of agricultural waste. Agricultural waste, forest waste, and urban waste will be utilised. Swachh Bharat mission has to be converted into an economic model. If we can have bio-fuel as 10% to 15% of our energy basket, we will be successful in creating a business model for new energy worth Rs 1 lakh crore. What do you expect from the scientist community? 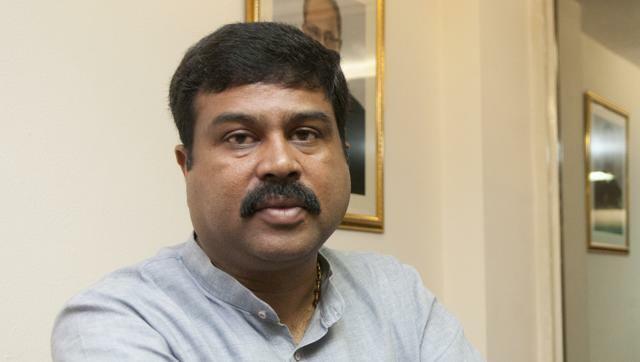 In the first phase, we will set up 10 or so bio-refineries in India, where second-generation ethanol will be produced. Talk about ethanol is not new. But it has not gone very far. The talk about ethanol is not that old. It started when Atal ji (Atal Bihari Vajpayee) was the Prime Minister. But nothing moved for the 10 years after 2004 (the year the UPA began its two terms). We put it back on track with a price support mechanism. Meanwhile, the demand for energy has increased manifold. We cannot increase the capacity for ethanol production, so we are talking about second-generation ethanol. You have talked about stateowned oil companies starting funds for startups. How is that going? ONGC has already earmarked ₹100 crore for this. The others will follow soon. I am hopeful that the kitty will grow to ₹300 crore to ₹400 crore soon. The idea is to convert innovation and scientific research towards energy efficiency into a viable business proposal. The role of the state-run companies will be to handhold startups. The energy needs of different strata of people are different, their purchasing power is also different. Did the big companies like Shell, Exxon and British Petroleum start the shale gas revolution? As we move to endorse COP 21 on October 2, we need to reduce our carbon footprint. This can only be possible when bright youngsters of the country innovate. Will this be a collective fund for startups or each company will do its own investments? We do not want to micromanage. All we know is that energy is as important as tea, water, and sleep. How will India give energy to all? Our energy model has to be different from the rest of the world. We have the super rich and we have the bottom of the pyramid. They have different needs and different affordability. The government had no role in the growth of the services sector in the last 25 years. This was done by innovative youngsters. The shale gas revolution in America was not done by the government or big companies. They just created an ecosystem. Our need is to create carbon-efficient energy using our own raw materials, and make it accessible to all. This can be done only with technology, and only if institutions and youngsters apply their minds. The future of energy depends on innovation and a new business plan. Startups are a way to that.